Merrill's recording career has spanned six decades and she is popular with fans of jazz in Japan and Italy (where she lived for many years) as well as in her native United States. She has recorded and performed with some of the most notable figures in the American jazz scene. Merrill was born in 1930 to Croatian immigrant parents. She began singing in jazz clubs in the Bronx at the age of fourteen. By the time she was sixteen, Merrill had taken up music full time. In 1952, Merrill made her recording debut when she was asked to sing "A Cigarette For Company" with the Earl Hines Band; the song was released on their Xanadu album. Etta Jones made her debut on the same album. At this time she was married to musician Aaron Sachs. They divorced in 1956. As a result of the exposure she received from "A Cigarette for Company" and two subsequent singles recorded for the Roost record label, Merrill was signed by Mercury Records for their new Emarcy label. In 1954, Merrill recorded her first (and to date most acclaimed) LP, an eponymous record featuring legendary jazz trumpet player Clifford Brown and bassist/cellist Oscar Pettiford, among others. It was to be one of Brown's last recordings, as he was killed in a car accident just two years later. The album was produced and arranged by Quincy Jones, who was then just twenty-one years old. The success of Helen Merrill prompted Mercury to sign her for an additional four-album contract. Merrill's follow-up to Helen Merrill was the 1956 LP, Dream of You, which was produced and arranged by bebop arranger and pianist Gil Evans. Evans' work on Dream of You was his first in many years. His arrangements on Merrill's laid the musical foundations for his work in following years with Miles Davis. After recording sporadically through the late 1950s and 1960s, Merrill spent much of her time touring Europe, where she enjoyed more commercial success than she had in the United States. She settled for a time in Italy recording an album there, and doing live concerts with jazz notables Chet Baker, Romano Mussolini, and Stan Getz. Merrill returned to the U.S. in the 1960s, but moved to Japan in 1967 after touring there. Merrill developed a following in Japan that remains strong to this day. In addition to recording while in Japan, Merrill became involved in other aspects of the music industry, producing albums for Trio Records and hosting a show on a Tokyo radio station. Merrill returned to the US in 1972 and has continued recording and regular touring since then. Her later career has seen her experiment in different music genres. She has recorded a bossa nova album, a Christmas album and a record's worth of Rodgers and Hammerstein, among many others. Two albums from Merrill's later career have been tributes to past musical partners. In 1987, Merrill and Gil Evans recorded fresh arrangements of their classic Dream of You; the new recordings were released under the title Collaboration and became the most critically acclaimed of Merrill's albums in the 1980s. In 1987 she co-produced a CD "Billy Eckstine sing with Benny Carter" and sing in duet with Mr.B two ballads. In 1995 she recorded Brownie: Homage to Clifford Brown as a tribute to the late trumpeter. One of Merrill's millennium released recordings draws from her Croatian heritage as well as her American upbringing. Jelena Ana Milcetic, a.k.a. 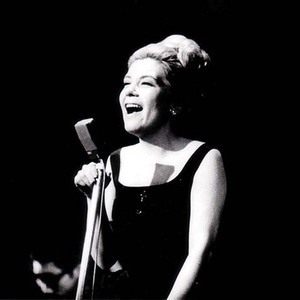 Helen Merrill (2000), combines jazz, pop and blues songs with several traditional Croatian songs sung in Croatian. Helen Merrill has been married three times, first to musician Aaron Sachs, second time to UPI vice president the late Donald J Brydon, and third to arranger-conductor the late Torrie Zito. She has one child, a son, Allan P Sachs, also a singer, who is professionally known as Alan Merrill.